The Society for the Protection of Ancient Buildings was formed by William Morris in 1877 to promote a philosophical and ethical approach to building preservation that champions the honesty and authenticity of our historic buildings, and exists today to campaign, research and educate. Since 1930 SPAB has offered the W.R.Lethaby Scholarship as a post-graduate educational programme for outstanding young architects, surveyors and engineers with a passion for conservation in the spirit of Morris’ manifesto. Each year the Scholars travel the length and breadth of the country together for nine months, making site visits and meeting expert craftspeople and architects working in building conservation. Scholars observe sympathetic repair in-situ, with a ‘hands-on’ approach that includes experience of many traditional techniques from timber framing and masonry, to lime burning and blacksmithing. The site visits will include structures of every age, size and style, and can range from brickworks to cathedrals to garden grottoes. 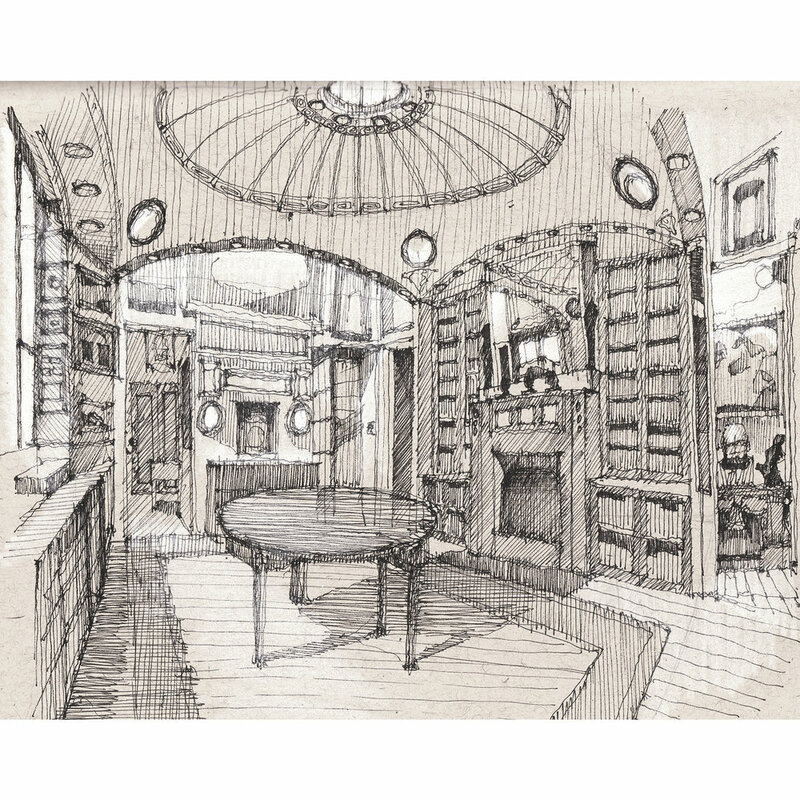 Appreciation for the age and beauty of architecture is nurtured through intensive observational drawing. Both Fergus and Charlie have undertaken the SPAB Scholarship and much of their shared philosophy toward the sensitive safeguarding of a site’s future was founded during this formative study year. They continue to support the educational work of the SPAB by hosting scholars as new graduates begin their conservation journey.